 Chilquinta Energia is the Chilean subsidiary of Sempra Energy and represents a corporate group with five (5) utility companies in the cities of: Valparaiso, Linares, Casablanca, Litoral, and Parral. These companies have a combined count of 780,000 customers throughout their operation. These companies needed to modernize their field service to improve customer satisfaction and find a way to enact centralized control, to keep up with a quickly evolving regulatory environment. Chilquinta Energia, Sempra Energy’s largest Chilean subsidiary, chose Open Smartflex’s EnergyCIS and Field Service solutions to unify business processes and reinvent its field service. Adopting Open Smartflex allowed them the flexibility to adapt as required to regulatory and market conditions. With Open Smartflex, these companies managed to comply with the regulatory changes in Chile by offering full support to renewable energy including the capacity for Net Metering and Net Billing, as well as dynamic time-of-use pricing. In just 8 months, improved field service led to a 72% reduction in average service installation time. After adopting Open Smartflex, average service installation time was reduced from 28 to 8 days across the 5 subsidiaries. With this significant reduction in service installation time, the subsidiaries began to provide a better experience for customers from the very start, while also increasing the number of billable hours for the service. In 2015, Chilquinta was already well-established in Chile with over 720,000 end users and a history of over 30 years providing energy services, however, it was using an out-of-date business solution that offered limited capabilities. The company´s systems were inflexible and its five subsidiaries each had their own business processes, so any effort to improve integration between them required significant resources and yielded limited results. Despite being in a market-leading position with an established reputation for good customer service, the company was finding it hard to compete with the fast and personalized customer service being offered by companies with modern CIS and field service systems. The company’s existing system for field work management did not automatically interface with customer information or support real-time data, making it hard to improve field operations such as service installation orders. The company needed to do something fast to improve customer experience or risk losing market share to its competitors. In addition to concerns about customer retention, the company needed to deal with a rapidly changing regulatory landscape, as laws were coming into effect mandating full-support for consumer-sourced energy. With an outdated solution comprised of several inflexible and unconnected systems, the company was inhibited from enacting quick and company-wide change. Chilquinta realized that it needed a technological renovation in order to face its pressing business challenges. The company began looking for a solution to drive integration across its companies and help it adapt more rapidly to regulatory changes while improving the speed, efficiency, and quality of its customer service. After a long and intensive process of evaluating software alternatives in the market, including SAP and Oracle, Open Smartflex’s EnergyCIS and Field Service solutions where chosen to face its pressing business challenges. One of the main reasons cited by the customer for choosing Open Smartflex over other market alternatives was the solution’s seamless integration of multiple business processes. Due to its consolidated architecture, Open Smartflex provided a unique ability to unify business processes across multiple companies to fully integrate customer service, billing, collections, and field service. In addition, the customer highlighted Smartflex´s implementation speed, flexibility and unique framework feature as significant benefits to independence. “Fundamental aspects for us include the low amount of development required to meet our needs and the technical architecture of the solution, which allows us to make developments in the framework without having to depend on the vendor” – Jaime Acevedo, Chilquinta Energia Operations Manager. Open also complemented this unique product offering with a deep knowledge of the local business and regulatory environment, all of which translated into a significantly better outcome. The capacity for Net Metering and Net Billing, as well as dynamic time-of-use pricing. The ability to leverage information and manage its commercial and operational processes in a unified system across all five companies. Moving from offline meters (synchronized nightly) to online meters. Provided complete visibility over both operational and business performance through real-time online indicators & dynamic dashboards. Improved field operation through a truly mobile workforce with the ability to register, view and manage all service orders through their mobile devices. Both scheduling and routing became more efficient, while field staff gained the ability to make decisions off-site based on real-time information. New ability to conduct emergency repairs with maximum efficiency and speed using a dynamic field service re-programming feature. Secured its leading position in customer satisfaction thanks to an improved ability to connect with customers, commanding a 360° view of customer information to drive a better customer experience. With the flexibility offered by Open Smartflex, these companies finally had the system they needed to evolve rapidly at the pace of their business needs. Not only did the companies quickly adapt to the new regulations, but they managed to greatly improve efficiency and cohesion across a range of business processes. One of the Chilean subsidiaries main goals of the technological renewal was to improve customer service; with Open Smartflex, it managed to do just that. In addition to improving commercial interactions with clients, Open Smartflex’s Field Service solution provided a radical improvement to the company’s customer-facing field operations.